Lebanese military tribunal orders release on bail of Michel Samaha, a former minister and adviser to Syrian President. 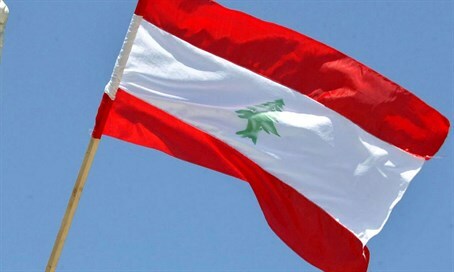 A Lebanese military tribunal on Thursday ordered the release on bail of a former cabinet minister accused of working with Syria to launch "terrorist" attacks, a court judgment said. Michel Samaha, who was information minister from 1992 to 1995, would be released in exchange for a bail payment of 150 million Lebanese pounds ($100,000), according the text of the judgment, seen by AFP. Under his bail conditions, Samaha, 67, would be barred from leaving the country for at least one year, speaking to the press or using social media. His wife, Gladys Samaha, told AFP she was raising funds for the payment. "I hope that he'll be back home today," she said. Samaha's next court date is set for January 21. The ex-minister was arrested in August 2012 and charged with attempting to carry out "terrorist acts" over allegations that he and Syrian security services chief Ali Mamluk transported explosives and planned attacks and assassinations of political and religious figures in Lebanon. Samaha was sentenced in May 2015 to four-and-half years in prison, but in June Lebanon's Cassation Court nullified the verdict and ordered a retrial. "I cannot make any statement concerning my trial and I respect the court's decision," Samaha told AFP on Thursday. "I will continue my political work and I ask those who attack me not to play the game of Daesh," he added, referring to the Islamic State (ISIS) group. Samaha, a Christian politician and former adviser to Syrian President Bashar Al-Assad, admitted during his trial that he had transported the explosives from Syria for use in attacks in Lebanon. But he argued he should be acquitted because he was a victim of entrapment. His previous sentence was denounced as "scandalous" by Justice Minister Ashraf Rifi as it would have seen him released at the end of 2015 because of time served. Syria maintained a nearly 30-year presence in Lebanon, withdrawing its troops in 2005 after the assassination of former prime minister Rafiq Hariri. Hariri died when a suicide bomber drove a van packed with 2,500 kilograms (5,510 pounds) of explosives into his convoy on the Beirut waterfront. The UN-backed tribunal investigating the 2005 assassination has charged five members of the Hezbollah terrorist group with the murder. Hezbollah denies any role in the killing. Hariri's son Saad, himself a former prime minister, said in a statement on Thursday that Samaha's release on bail was "a violation of the feelings of the majority of the Lebanese".